As part of our 50th Anniversary celebrations, Jon the Flying Potter joined us at Damson Wood to work with KS1 to create an anniversary art piece using clay. 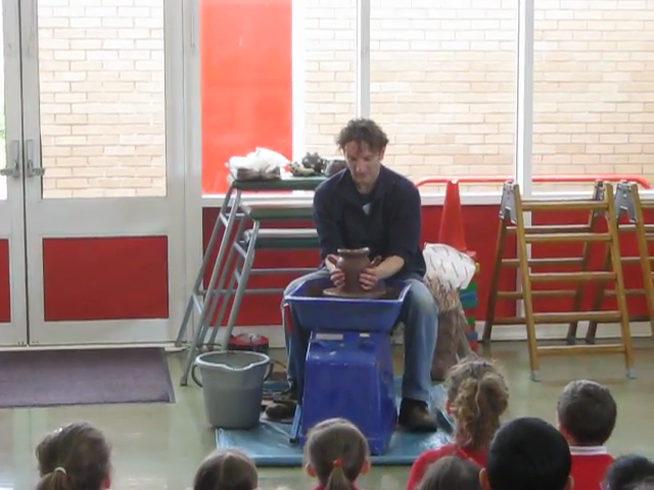 There are some photos on our News page but here is a video of Jon finishing a piece of work on the wheel - you can hear how much our pupils are enjoying it! Time Capsule in the making!